In response to a need for evidence-based research and methodological approaches that could be adopted/adapted by international development organizations, we began this study with a survey of existing resilience frameworks. In this study, we used a definition recently proposed by LWR, which refers to resilience as “the capacity of a system (e.g., a community) to absorb the impacts of shocks and stressors, to adapt to change, and to potentially transform, in a manner that enables the achievement of development results (e.g., sustainable livelihoods, well-being, poverty alleviation)”(Ospina, 2015). Our research integrated concepts from the resilience literature, agroecology, the sustainable livelihoods framework and participatory action research (PAR). We examined three types of resilience capacities including: 1) absorptive, 2) adaptive and/or 3) transformative, in response to shocks (perceived as sudden, unexpected, events that impact the system), and stressors (longer-term trends that undermine a system’s performance). We used a mixed-methods approach, including surveys, focus groups and interviews, to examine qualitative and quantitative data from projects executed by local counter-parts in three countries. The cases for this study included a diversity of partner organizations, as follows: 1) In Honduras, we worked with a project focused on diversification, food security and improved coffee production; 2) In Nicaragua, the project specifically focused on resilience aiming to integrate livelihood diversification, climate monitoring, and agricultural management to strengthen resilience capacities; and 3) In Haiti, the project targeted coffee renovation and income diversification to strengthen local capacity to respond to climate change, and building social capital in smallholder coffee cooperatives. Exploring resilience dynamics within three distinct environments and executed by independent local partners provided an opportunity for identifying characteristics that are unique to place, while a regional focus in Latin America supported comparison across sites to identify more generalizable trends and recommendations that are more broadly applicable. As such, guiding questions for this research included: 1) What challenges are these households and communities facing (i.e., what main categories of shocks and stresses do they identify)? 2) What resources can and do they draw on (i.e., what are the strengths and vulnerabilities of these smallholder farmer households)? 3) How are they currently responding to shocks and stresses (i.e., what are their coping strategies)?and 4) How are LWR projects changing/improving their resilience capacities? Caswell, M., V.E. Méndez, J. Hayden, J. Anderzén, P. Merritt, A. Cruz, V. Izzo, S. Castro, J. Wiegel, A. Ospina and M. Fernandez (2017) Assessing resilience in coffee-dependent communities of Honduras, Nicaragua and Haiti. ARLG/LWR Research Brief #5. Agroecology and Rural Livelihoods Group (ARLG), University of Vermont & Lutheran World Relief (LWR). 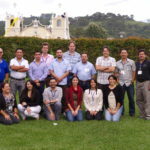 Key partners included the ALC, Bioversity International, HIVOS, CEDECO, ICRAF, ASOBAGRI Cooperative (Guatemala) and PRODECOOP Cooperative (Nicaragua). The project focused on agroecological practices, resilience and climate change adaptation with smallholder coffee farmers of Guatemala and Nicaragua. Desk reviews assessed the potential of agroecological practices to make coffee landscapes in Central America more resilient to climate variability and future change. ALC master’s students Andrew Gerlicz and Dana Christel teamed up to conduct research on soil health and farmer livelihoods with farmers from the ASOBAGRI cooperative in Guatemala (see their thesis projects below). Morris, K.S., V.E. Méndez, M. Van Zonneveld , A. Gerlicz and M. Caswell (2016) Agroecology and climate change resilience in smallholder coffee agroecosystems of Central America. ARLG/LWR Research Brief #4. Agroecology and Rural Livelihoods Group (ARLG). Burlington, Vermont, U.S.A.
Dana did research with ASOBAGRI, an organic coffee cooperative situated in the Western Highlands of Guatemala. She conducted a soil erosion survey using a visual indicator assessment across smallholder organic and conventional farms. 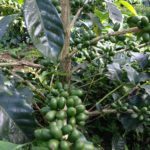 Results from this study show that as ground cover in coffee farms increased, the number of erosion indicators observed decreased, regardless of the slope being farmed. This was an opportunity to use a survey method that is more accessible to farmers, requiring less equipment than other types of assessments and surveys while covering more ground in a shorter period of time. 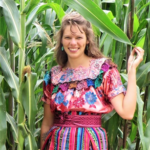 While in Guatemala she learned from organic coffee farmers’ strategies to improve soil health, learning more about bokashi and other composts produced with microbial inoculants. She went on to study bokashi in organic vegetable production when she returned to Vermont. Margarita’s dissertation research analyzed qualitative and quantitative socio-ecological data on household livelihood strategies, with a particular emphasis on agroecology and food sovereignty, and how these strategies contribute to building sustainable systems that secure food and maintain biodiversity in coffee communities of Chiapas, Mexico and Northern Nicaragua. 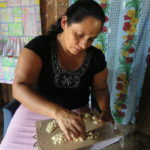 Using a participatory action research approach, Margarita worked with a fair trade/organic certified coffee cooperative to design, implement and analyze research with 10 communities. The results of this research identified best practices for food security and food sovereignty in order to assist farmers, coffee cooperatives and development organizations in designing future development strategies. Sebastian worked to explore tradeoffs and synergies between crop productivity and ecosystem services in intensively managed coffee agroforestry systems in the Los Santos region of Costa Rica. 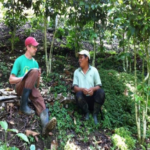 He combined farmer self-reported data, coffee plant productivity assessments, and vegetation and soil surveys to carry out an agroecological analysis of agroforestry coffee systems. Results showed that while coffee producers utilizing synthetic fertilizers achieved higher yields, the resulting excess nitrogen could be causing soil acidification and long term nutrient depletion. As well, field research indicated while generally coffee monocultures outperform integrated production, that within the agroforestry coffee fields in Los Santos region, coffee plants found in the vicinity of shade canopy plants bore more fruit when compared to those in isolated conditions. Castro-Tanzi, S., T. Dietsch, N. Urena, L. Vindas & M. Chandler (2012) Analysis of management and site factors to improve the sustainability of smallholder coffee production in Tarraza, Costa Rica. Agriculture, Ecosystems and Environment 155: 172-181. Méndez, V. E., Castro-Tanzi, S., Goodall, K., Morris, K. S., Bacon, C.M., Laderach, P., Morris, W. B. & Georgeoglou-Laxalde, M. U. (2012) Livelihood and environmental trade-offs of climate mitigation in smallholder coffee agroforestry systems.pp. 370-381. In E. K. Wollenberg, A. Nihart, M. Grieg-Gran & M. L.Tapio-Bistrom (Eds.) Climate change mitigation and agriculture. London: Earthscan. Castro-Tanzi, S., M. Flores, N. Wanner, T.V. Dietsch, J. Banks, N. Ureña-Retana and M. Chandler (2014) Evaluation of a non-destructive sampling method and a statistical model for predicting fruit load on individual coffee (Coffea arabica) trees. Scientia Horticulturae 167: 117-126. Chronic, seasonal food insecurity is a regular event in coffee growing regions of Mexico and Central America. Marcela’s research examined agrobiodiversity and livelihood factors contributing to coffee growing families’ food insecurity in the Northern mountain regions of Nicaragua through a multidisciplinary approach. The Sustainable Livelihoods Approach (SLA) was used as a methodological guideline to the research, accounting for household’s assets, vulnerability context and livelihood strategies. Findings confirmed that coffee dependency is one of the households’ main vulnerabilities. Contributing factors include the cost of production, risk of growing requirements and international coffee price fluctuations. Research also confirms that households are experiencing food insecurity; specifically chronic seasonal hunger. The capacity of households to produce and properly store staple foods was shown to reduce the number of months of food scarcity. In addition, research showed that families’ dietary diversity is positively affected by the number of animals they manage, the number of animal products they produce, and the number of sources of income for the household. 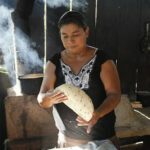 Smallholder coffee farmers in Mesoamerica face formidable challenges, including highly variable coffee prices, increasing climate change impacts, and worsening outbreaks of pests and diseases, which contribute to chronic debt and food insecurity. Despite these difficulties, the results of a recent follow-up or longitudinal survey show improvement in key aspects of farmers’ livelihoods, though there is an urgent need to continue working with farmers on these issues. The findings point to promising strategies for enhancing livelihoods, including carefully selected crop diversification practices to improve food security; site-specific instead of blanket recommendations for improved agricultural management and livelihood diversification; access to affordable financing and training in financial literacy; and other education and training programs for farmers. Smallholder coffee growers have been recognized for their contribution to biodiversity conservation and climate change mitigation through low-input, high-diversity farming management techniques. Smallholder coffee farmers worldwide often cooperatively organize to gain social and economic leverage. In a broad sense, this work explores how the social landscape of the cooperative influences the agroecological landscape. More specifically, I seek to understand how cooperatively managed smallholder coffee farmers make decisions about farm management, and how this aligns with bird and tree diversity within the coffee agroecosystem. This research is divided into three chapters, each exploring a different aspect of the coffee agroecosystem. In the first chapter, I investigate how shade tree diversity, abundance, and carbon stocks are changing over time. With the help of local assistants, I conducted tree surveys in four smallholder cooperatives of northern Nicaragua as part of a decade-long effort to track shade tree management. The second chapter explores bird abundance, diversity and community composition across these same cooperatives. 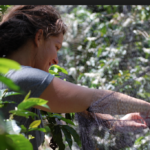 Local field assistants conducted avian point counts in coffee and forest habitats. In the third chapter, I interviewed members of four cooperatives to investigate how cooperative members approach management decisions for coffee, forest, and household budgets. Through this work, I found that shade tree density has decreased over time, but that diversity remained constant. Carbon stocks in coffee systems also showed a decreasing trend across the landscape, most likely due to the decreasing tree densities. Epiphytic plants increased as shade tree density decreased, suggesting either a change in management or improved habitat conditions for epiphytes. Bird surveys revealed that avian abundance is greater in coffee than in forest habitats, but that diversity across these two habitats is equal. Abundance increases with increasing canopy height as well as with mid-range canopy cover, suggesting that pruning and tree-cutting regimes affect bird populations. Interviews with farmers showed that members of different cooperatives manage their coffee differently, and that some of the factors members value for making farm and financial management decisions differ across cooperatives. These results suggest that local cooperatives and communities influence farmer decisions that ultimately influence the physical landscape. Global conservation initiatives should support local institutions to encourage the continuation of diverse shade trees, counter the pressure for producers to intensify coffee production, and optimize access to technical knowledge and resources across all cooperatives in this landscape. In this way, both biodiversity and smallholder livelihoods stand a chance at conservation. 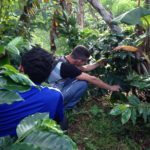 This dissertation focuses on agricultural management practices and food security for small-scale -coffee farming households in an organic coffee cooperative in western El Salvador. Katlyn examined the political, economic, ecological, and historical underpinnings and implications of current food crop management regimes, as well as the contribution of food crops and income from coffee sales to household food security and livelihoods. The two most common proximate causes of food shortages were lack of income-generating opportunities to buy food and insufficient production of staple food crops. The broader implications of this research include that promoting fertilizer use for poor smallholders in developing countries may be an inappropriate solution for long term economic and environmental sustainability. This case shows that, while farmers enjoyed initial yield increases with fertilizer use, this has not proved to be an effective strategy for maintaining yields in the long term. Instead, ecologically-based, low-input practices are better suited to the needs of smallholders, which requires the redirecting of priorities and funding of extension programs and international agencies. Morris, K.S., V.E. Méndez, & M.B. Olson (2013). ‘Los Meses Flacos’: Seasonal Food Insecurity in a Salvadoran Organic Coffee Cooperative. Journal of Peasant Studies 40(2), 457-480. Morris, K.S., V.E. Méndez, S.T. Lovell & M.B. Olson (2013). Conventional Food Crop Management in an Organic Coffee Cooperative: Explaining the Paradox. 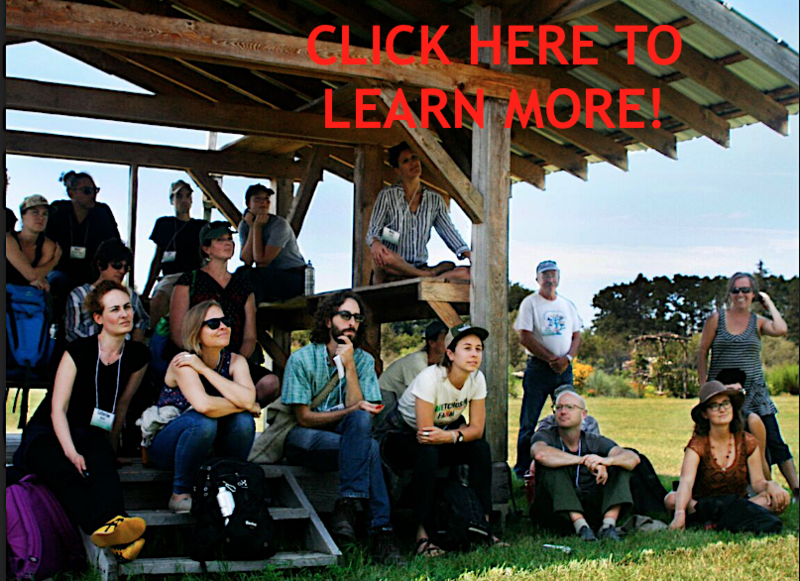 Agroecology and Sustainable Food Systems 37(7), 762-787. Meryl explored interactions between farmers’ livelihoods and diversity of cultivated plant species and landraces among smallholder shade coffee farmers in El Salvador. The research was conducted using a mix of natural and social science methods, and was driven by the following objectives: understanding the factors and livelihood contexts that motivate farmers to conserve agrobiodiversity; analyzing how agrobiodiversity contributes to livelihood outcomes, specifically food security; exploring co-benefits between agrobiodiversity conservation and carbon sequestration; and examining how agrobiodiversity changes over time as a result of farmers’ management choices. While the value of agrobiodiversity to livelihoods and ecosystem services has historically been difficult to measure, this research shows positive relationships in several domains and suggests methodological improvements for measurement in others. Richards, M.B. and V.E. Méndez (2014) Interactions between carbon sequestration and shade tree species diversity in a smallholder coffee cooperative of El Salvador. Conservation Biology 28(2): 489-497. Much attention has been paid to the establishment of Protected Areas for the protection of biodiversity. In recent years there has been an increased recognition that successful conservation strategies should look beyond artificial park boundaries and zoom out to the scale of landscapes. A landscape approach conserves biodiversity while maintaining ecological functions that benefit integrated human communities. Most rural landscapes where conservation activities are taking place also contain working agricultural lands managed by smallholder farmers. Individual farm-level choices can play a significant role in the management of ecosystem services such as habitat provisioning, nutrient cycling, recreation amenities, carbon sequestration, and the delivery of clean water. Choices over the style and diversity of agricultural activities are often a result of farmer household livelihood strategies influenced by broader political, economic and environmental interactions. This underscores the need for integrated, landscape-scale strategies to support rural livelihoods and ecosystem services conservation. This study presents results of an interdisciplinary analysis performed with shade coffee farmers in the Pico Duarte region of the Dominican Republic between 2009 and 2010. Baseline information on the social and ecological processes affecting livelihoods was collected through participatory focus groups, household interviews, and farm biodiversity transects from 42 households in 7 communities. All households were members of a local farmers’ association located within the Yaque del Norte watershed. Household sampling was stratified by size (i.e. small, medium, large producers) and by agroecological management (e.g. shade organic, conventional and transitional). 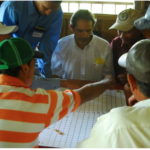 A Participatory Action Research approach was taken to integrate the goals of the local farmer’s association, development organizations, University researchers and a Vermont company purchasing coffee from the area. Findings suggest that all farms, as part of a diversified livelihood strategy, maintained similar levels of native tree and fruit species and supported important watershed service functions. However, findings verify conditions of poverty among coffee farmer households and strong economic pressures to abandon shade coffee for high input monoculture crops (e.g., chayote squash and beans) with potential loss to ecosystem services across the region. To conserve ecosystem services at multiple scales, a coordinated effort to support shade coffee farmers who practice diverse, low input agroecological management was evaluated through market and non-market approaches. In order to promote more sustainable landscape management in the region, a set of policy recommendations was developed for improving livelihoods and environmental conservation over the long-term.